A guest blog post written by Teresa Opheim (September 21, 2016) by Practical Farmers of Iowa. Reprinted with permission. Think about: HOW do you and the older generation communicate? What are the dynamics of your situation? What specific questions do you have for your elders? What do your elders need to know about you? Think of an elder you are working with on farm transition: What is the most effective way to approach this elder about a difficult decision? For example, is it better to approach him/her while working together in the barn or at a sit-down in the farm office? Does the process go better if you provide a lot of background explanation to warm up to the problem, or is cutting to the chase a more effective way to capture his/her attention? Does he/her prefer spelled out options or is he better with brainstorming? Is there another elder you are working with on farm transition? What is the best way to communicate with that elder? How do your elders make joint decisions? How do their styles work or not work well together? What happens if you approach one versus the other? How do you resemble your elders with respect to communication style? How and how well do you communicate with your siblings, and they with each other? Who are your allies in the farm succession planning process? Are there sides? Are there unspoken feelings and opinions about the farm and its future? Can you get them sorted out or at least put on the table? 2. Listen to your elders first. What do you need to know from them? After you have pondered dynamics and communications styles, think about and write down the specific questions you have for your elders about their farm transfer vision, goals and plans. And start by listening to their answers and perspectives. Why do you farm/want to farm? What are your professional short-term and long-range goals? When you think about taking over the farm, what challenges do you anticipate? What rewards do you anticipate? What do you feel best about how the farm transition is going so far? What do you not feel so good about how the farm transition is going? Maintaining family ownership of the farm is important. Ownership is a privilege, not an entitlement. Business success is more important than family harmony. Active family members should receive adequate compensation for their time, commitment and loyalty to the family operation. The Farm Journal Legacy project is at: http://www.farmjournallegacyproject.com/family-harmony/. What are your own values about farming and the farming lifestyle? Why do you want to farm? How do your family lifestyle preferences and the needs and desires of your partner and/or dependents fit into your vision of a future on this farm? What are your financial goals and objectives? How much income will you need for the lifestyle you desire? 3. For worksheets of the questions included in parts 1-3, see practicalfarmers.org/farm-transfer. Thank you to Land for Good for the inspiration and many ideas included in this blog. 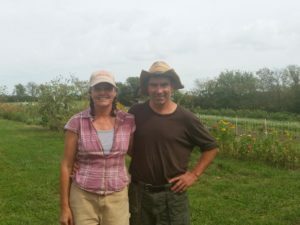 About the author: Teresa Opheim leads PFI’s Farm Transfer Programming to help new farmers secure land and help older farmers transfer their farms and businesses to the next generation. PFI is a membership organization whose niche is farmers teaching other farmers. Many of their farmer-members are willing to share their farm business and farmland transfer stories. Teresa is the author of The Future of Family Farms, Practical Farmers’ Legacy Letter Project (available through The University of Iowa Press). PFI also commissioned playwright Mary Swander to write Map of My Kingdom, a play about the ways farmland owners have planned for – or failed to plan for – farmland transition and transfer. Reprinted with permission. See the original post on the PFI blog.